Nokia has reported its financial results for Q3 2011 and things are still critical but better than expected at the Finnish company: it’s in the red with a net loss of some $207 million (151 million euro) against a net profit of some $442 million (322 million euro) in the same quarter last year. Nokia however beat analysts expectations as it sold 16.8 million “smart devices” compared to an average projection of 15.9 million. It is also reporting 2 euro cent earnings per share, better than the projected 1 euro cent of loss. Faired against the industry’s biggest, it ranked third as both Samsung and Apple beat its smartphone sales. Samsung is expected to report more than 20 million smartphones sold in Q3 2011, while Apple has already reported 17.1 million iPhones distributed. Net sales over at Espoo slid further to some $12.3 billion (8.98 billion euro), down 13% year-on-year, but only 3% when compared with last quarter’s results. What took a serious beating though was average selling price. Even though Nokia managed to largely keep its volume of sales and net sales figure, this happened on the back of cheaper phones sold by the company. The average smartphone selling price for the quarter fell to nearly $180 (131 euro), down 8% from last quarter, while for feature phones, the decline was even bigger - 11% on the quarter and down to an average of $44 (32 euro). 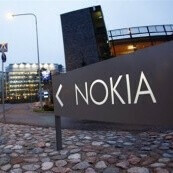 When broken down by regions, Nokia was hit the hardest by quickly diminishing sales in Europe, its stronghold. At the same time, Greater China and Pacific Asia are slowly starting to rate among the company’s most important markets. “Our results in Q3 indicate that our sales execution and channel inventory situation have improved. From a product standpoint, our overall Mobile Phones portfolio performed well. We shipped approximately 18 million dual SIM devices in Q3, and in markets such as India where dual SIM is pervasive, we gained market share. We also strengthened our Smart Devices line up in Q3, with the launch of our first smartphones running Symbian Belle, which improves the user experience and strengthens the competitiveness of our product portfolio,” Nokia’s chief executive Stephen Elop said. He summarized that there were some early improvements in Q3, or we would put as a slowdown of the huge decline in recent quarters. The next quarter is where those recovery signs should already start showing up. It’s the Holiday season in Q4, and traditionally that translates into the strongest sales for companies. Nokia is no exception, but the quarter is special for one more reason - Nokia is expected to bring its first Windows Phone devices to market. First, though, it has to announce them at Nokia World kicking off in late October. Hopefully, this will also increase the company’s non-IFRS operating margin, which stood at the meagre 4.1% this quarter. I hope Nokia can make it and start selling well enough to survive. Microsoft Windows Phone 7 OS Plattform will help a lot. I think windows phone has potential.. I still love Nokia. I just really hope that they can get back on track. If they make windows phones with exclusive nokia designs and features like xpressmusic and 12mp cameras i think they'll do fine. Sorry fellers, I don't share thesame optimism with you guys. I was a serious and a dedicated nokia fan (nokia N95, N97, N900, etc), untill last month when I tested android SGS II. I still like Nokia and I wish them a speedy recovery to the top but after having a serious affair with SGS II (which I intend to make a long lasting satisfying relationship), all I can say is, " sit up Nokia or You'll see my money no more". I came from a Nokia 5610 to a Motorola Droid two years ago. Actually the 5610 had to be replaced 3 times due to all their screens going white. Going from S40 to android 2.0 was like going from gameboy to PlayStation. While ill always remember Nokia for giving me my first phone ever (3595), I am never going back to them ever. I am loyal to Droid forever. Just thinking about where android will be in a couple years reconfirms my decision. I am a WP fan, and I think long term Nokia will be fine. But I still do not see the harm on developing an existing Symbian line of phones to keep your bottom line profitable. Had Nokia said WP will be our main OS, but we will keep Symbian going, the decline the past year would not have been so sharp. Hope Nokia World gets Nokia fans excited, and maybe eases some fears. Since Symbian anna is nearly released world wide and when the release of symbian belle releases also im sure sales will start to rise! !